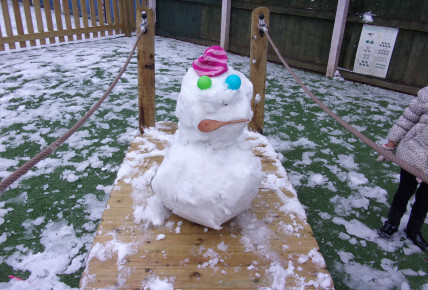 Busy Bees at Ipswich Pinewood - SNOW!! 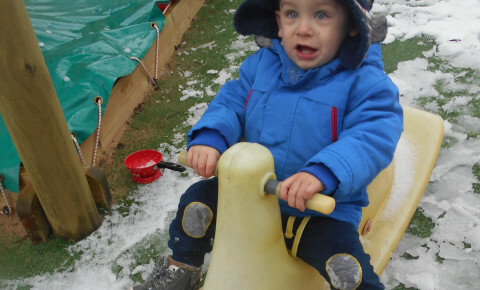 Today was our first experience this year of the snow and everyone loved it! 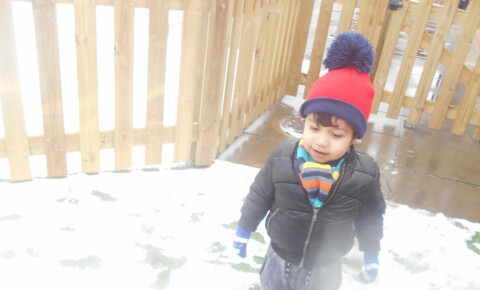 All the children wrapped up in their hats, gloves, scarfs and coat and went outside to play. 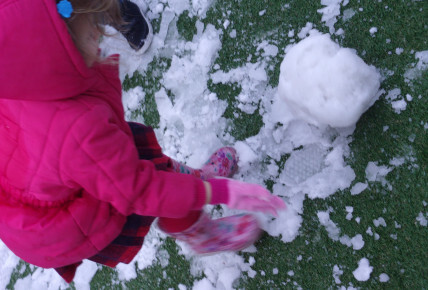 Pre-School children made a gigantic snowman in their garden in which the children helped, take a look at the photos. 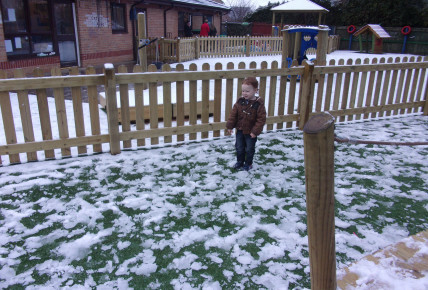 All the children were very excited to explore the snow!